Book Review The Voyage of Discovery By Carly Steinbrunn Reviewed by Adam Bell Since its invention, photography has been closely linked with the ways we inhabit, explore, and control the world. Photographic images provided a way not only to travel and see far away places, but also to catalog and document its plants, animals, people, and landscapes. No matter how banal, each photograph represents a journey that is both spatial and temporal, taking us previously and elsewhere, allowing us to explore and possess that space or thing in some small way. The Voyage of Discovery. Photographs by Carly Steinbrunn. MACK, London, England, 2015. 96 pp., 8¼x10¼". Since its invention, photography has been closely linked with the ways we inhabit, explore, and control the world. Photographic images provided a way not only to travel and see far away places, but also to catalog and document its plants, animals, people, and landscapes. No matter how banal, each photograph represents a journey that is both spatial and temporal, taking us previously and elsewhere, allowing us to explore and possess that space or thing in some small way. Constructed like a field report or expeditionary scrapbook, Carly Steinbrunn’s The Voyage of Discovery takes us on a suggestive and open-ended journey. Part encyclopedia musing and part surrealist travelogue, The Voyage of Discovery is inspired by the visual and narrative work of 19th and 20th century scientific and anthropological expeditions, but uses that visual language to critically reflect on the complex relationship between discovery, seeing, and conquest. If Steinbrunn’s book declares itself a voyage, it is worth asking what that voyage is and where it’s taking us. After all, a voyage requires both an origin and a destination. The Voyage of Discovery. Photographs by Carly Steinbrunn. MACK, 2015. 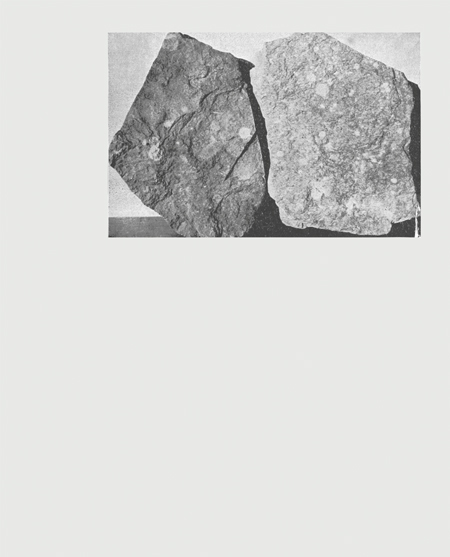 Organized into three chapters, the images alternate between Steinbrunn’s own photographs and those she has appropriated from various expeditionary, scientific, and anthropological collections. In the book’s colophon, Steinbrunn thanks NASA, the New York Zoological Society, and the Art Institute of Chicago as sources. The photographer also cites Karl Blossfeldt and Gustave Le Gray, whose influence can be seen in the taxonomic still-lives, empty landscapes, and seascapes that appear throughout the book. The subjects vary widely, but are largely flora and fauna, objects and historical artifacts, architecture and landscapes. Objects are isolated against stark backdrops, enigmatic mountains rise in the distance, and strange vegetal forms loom in the frame. Familiar buildings like one of the Pyramids of Giza appear, but so do more alien structures that are difficult to identify and place in time and space, like the cone-like structure from Brasilia, the preplanned and largely empty Brazilian capital. Later in the book, airplanes crash to the ground and rockets launch into space, suggesting both the limits and aspirations of exploratory travel in the sky and heavens. Relying heavily on the visual aesthetic of early scientific and expeditionary photography, the loose narrative Steinbrunn creates not only rests on our own assumptions about what these photographs look like and what they show, but also the gaps that are left open for our own interpretation and narrative. Apart from the brief caption list in the back, the book’s only text is an epigraph from Claude Lévi-Strauss’ seminal text Triste Tropiques where he muses on the limitations and failure of subjective vision both past and present. Presented without context, the images float freely on the page and take us on an associative journey to what seems like an atemporal and foreign world. We’re asked to question our own presumptions about the images and reckon with the ways they isolate objects, people and things in the world making them conform to certain desires and narratives about the world. Subtly constructed, Steinbrunn’s argument is revealed in her careful sequencing of the images and captions. Moving between objects and places, each sequence conjures a host of meanings and actions left unsaid. Artifacts are taken from an empty landscape and isolated, fruit is torn from trees and placed on a white seamless background, and animals and insects are taken from the jungle and held still for closer examination. Travel is both suggested and thwarted. The past and future seem to coexist. The corresponding captions, listed in the back, are also an exercise in reductive meaning. Presented as a spare list of names, Steinbrunn shortens each title to the image’s supposed subject (e.g., Mount Hermon, Flints, Bobo Tribesman, Parchment, Brasilia, and Boeing), directing us to explore the images and infer the information the surrounding images and titles fail to provide. The book already feels like a textbook shorn of text, but the curt titles emphasis this further. We’re left not only to explore the photographic language Steinbrunn employs, but the territory in the photographs themselves. In each case, what is missing accentuates what is left unsaid or removed, pushing us further along, further into confusion, and asking us to question what it is we are discovering, where we’re going, and why. Unlike much work that often draws whimsical associations between its appropriated images, Steinbrunn’s edit is more forceful and pointed — simultaneously conjuring the 19th and 20th century romance of travel and discovery, but also its darker reality of colonization and conquest. The images evoke a problematic history of the medium while also highlighting the ease with which their meaning can be distorted through simple omission. Part of what made early photographs so dangerous was how easily the medium’s seeming objectivity was seen as confirming the beliefs and biases of those making the images (i.e., that a landscape was empty and free for the taking, that native populations were somehow less human or civilized etc…). By stripping all contextual information, Steinbrunn lays bare the associative meanings that underpin the images. This is dangerous territory. Steinbrunn’s seemingly romantic evocations of discovery coupled with the work’s intentionally allusive nature could easily be interpreted as endorsing what it is critiquing and leaves the work open to misinterpretation as being either naively enigmatic or romantic. It also assumes a willing and sophisticated audience to parse the nuances and see what those omissions mean. Special thanks are due to Stanley Wolukau-Wanambwa whose comments and insights shaped this review and my thinking about this book.